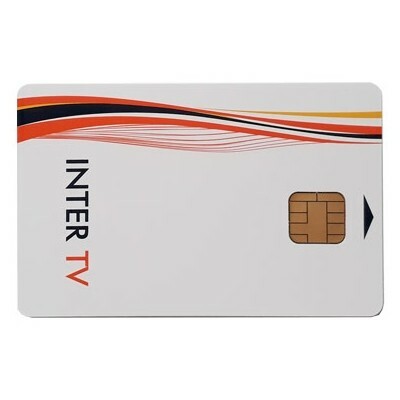 Inter TV Russia Viaccess 12 Month subscription satellite viewing card providing access to Russian Inter TV channels broadcasting on Hotbird at 13 East in Viaccess encryption. The Inter TV smartcard gives access to three channels, Detski Mir ( transmitting from 7am – 7pm), Teleklub (transmitting from 7pm – 7am), Nashe Kino (transmitting from 24hrs). The channel line-up is designed to provide Russian nationals living abroad with innovative programming from home, including the latest TV-series, talk-shows, childrens programmes and a vast selection of movies.